This page describes the Greek region Makedonia. For the country see Makedonija. 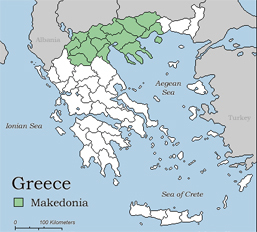 Makedonia is a Greek region. This page was last edited on 12 December 2008, at 11:39.